Are you a hot-head at night? Do you wake up feeling unrefreshed or with a sore neck or shoulders? According to a study published by the National Institute of Health, over 50% of participants reported poor sleep quality when using their own pillow. That means that as many as 50% of Americans might be sleeping on the wrong pillow. Are you one of them? It's not easy to find the right cushion to sleep on. You want something that is comfortable, and that offers excellent support. 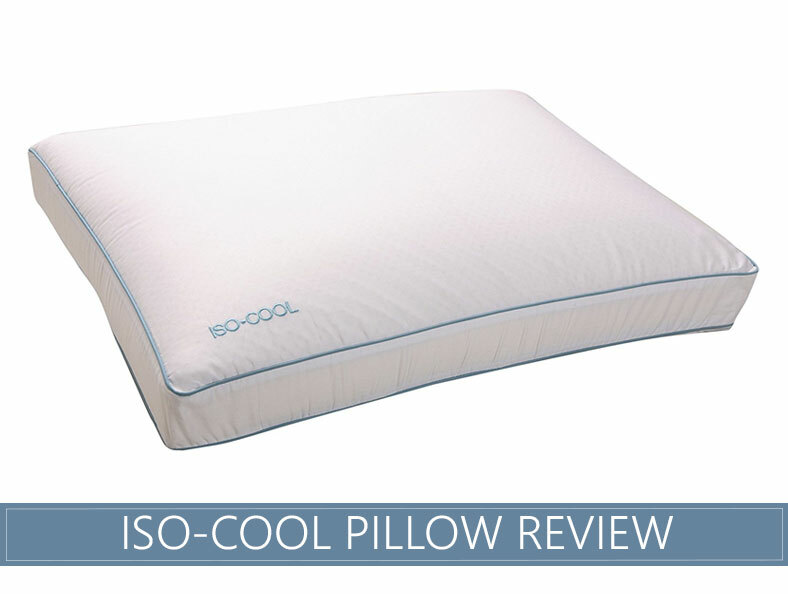 In this article, we review the Iso-Cool Memory Foam Pillow to see if it lives up to its promise. Want to view more options? Be sure to check out our Top Pillow picks for 2019. The filling is made up of Visco-elastic memory foam (see more memory options here). This is a more responsive type that offers a convenient blend of comfort and support. The design makes this highly breathable and comfortable. It is a good quality foam and hypoallergenic. The product come in three different designs, Standard, Contour and Gusseted Side Sleeper. In each case, the foam measures 5 inches. The foam is covered with a cotton cover that is zippered to make removal easier. The feel of the cover is crisp and clean, like something you would sleep on in a high-end hotel. There are three different options to choose from so you can find the shape and support level that suits you. The support offered is on the firmer side so if you like a firmer option, this is a good alternative for you. It has very little bounce to it and holds up well under pressure. Your head is not going to sink into the pillow very far at all. If you prefer to have your head cradled deep in your cushion, this option is not going to work for you at all. Comfort-wise, if you are used to softer models, these will take some getting used to overall. The emphasis is on firmness rather than cushiness with all of the options. The cover is made of 100% cotton with a thread count of 300. In addition, Outlast Adaptive Comfort material has been infused into this layer. It contains tiny PCM beads that are able to absorb heat and dissipate it or to release heat, depending on the temperature of your skin. The combination of the cotton, the optimal thread count, and the PCM beads means that this will stay cool when your face is hot and will radiate heat back to you if your head is cold. The technology is very responsive to heat changes in your body, and so you get to sleep at the optimal temperature in summer or winter. The cover can be taken off quickly and washed with your regular laundry, making caring for it a simple matter. It is also hypoallergenic. The loft of these pillows and the firmness of them make them more suitable for side sleepers. The gusseted side sleeper option maintains its height due to the design. This is best option if you sleep on your side. Back sleepers might find the height too high. Want to see better options for back sleepers? Click here. Stomach sleepers need to look for something different. If you would like to review options more suitable for stomach sleepers, check this post out. The contour option is shaped to give extra support to the neck while having a deeper channel for the head to lie in. The one side is higher than the other, giving you the opportunity to choose the best height for your neck. 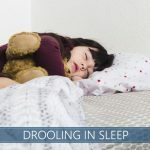 This is perfect for side sleepers and can also be used by back sleepers. Stomach sleepers are not likely to find this comfortable. The standard option is a more all-purpose alternative, but again, the loft makes it unsuitable for front sleepers. It may be uncomfortable for back sleepers for the same reason. You are a side or back rester. You want a higher level of support (firmer). You slumber hot (here are more great cooling options). You want something that has a higher loft, and that holds up over time. You have allergies. The cover and the filling itself are hypoallergenic. This is a good choice to make if you are a side-sleeper. 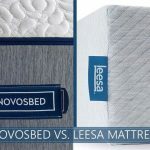 The support and extra loft will make a huge difference in the quality of sleep you get because you are properly supported. The gusseted cover will ensure that this does not lose shape easily. The contour option is a good one if you change positions in your sleep at night. 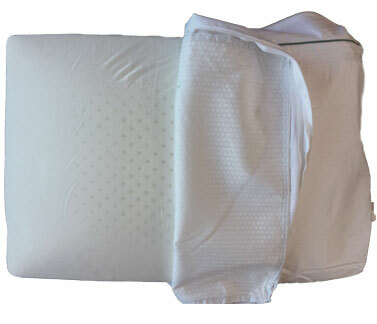 The cotton cover and PCM beads ensure that you slumber cooler in warm weather and warmer in cold weather. The cover is easily cleaned and cared for. Overall, this is a great pillow.